Whenever a coworker gets a new puppy the debate over crate training begins. Some people don’t like the idea of leaving a dog inside a crate for hours on end, and some think of it as cruel. I have to admit before I crate trained my previous dog Carter I wasn’t in love with the idea either. It didn’t look natural to me, and I didn’t like the idea of leaving my dog alone in there when I went to work. But after I tried it for a week I was sold. I no longer had to worry about what Carter might be getting into while I was gone, and to my surprise he didn’t mind it at all. With proper introduction your dog’s crate can become a safe and welcome place for them to rest while you’re at work. If you have a new puppy the crate can give you some peace of mind while you’re away, but there are limits. Since puppies can’t hold their bladders for 8 hours at a time it’s best to have someone check on them during the day for a pee break. With the right management though, a crate can make training a lot safer & easier. 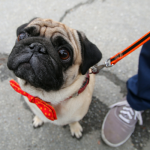 Here are some crate training basics to help your dogs introduction to the crate go smoothly. The size of your dog’s crate is important. For a puppy you need to remember that they won’t want to eliminate in a small space where they’re confined. If you get a crate that’s too large they can decide to do their business on one end and sleep at the other. You also want the crate to feel cozy, but don’t go too small. 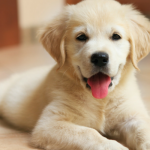 You want your dog to be able to stand up, lie down and rearrange himself comfortably. If you have a puppy that is going to be growing a lot you can use a divider and install it inside of an adult sized crate. Solid plastic crates are great for trips and can work in your home, especially if you have a dog that tends to be over stimulated by visuals. If you choose wire crate you can make it more cozy by using blankets on the surface and hanging some over the side. The introduction to the crate is important. Don’t force your new dog or puppy into the crate if they’re not comfortable or curious enough to check it out themselves. Coax them, make it fun. Place some treats inside to accustom them to entering, praise them when they go inside. You can also play some games in or near the crate to get them used to whole idea. You want your dog to understand that it’s not just a big scary cage; it’s a nice place to hang out where nice things happen. If you have a puppy it will probably be easier to coax him inside with a toy – if you have an adult dog whose never seen a crate before it’s going to be more challenging. You might want to consider feeding him his meals inside the crate for awhile. You’ll need to gradually introduce an adult dog to this idea, slowly putting the meals further into the crate – when he’s feeling more comfortable you can also practice closing the crate door while he’s inside. Incorporate going into the crate as a command, give him a treat every time he listens. Keep it positive, don’t use the crate for any kind of punishment. If your dog panics or looks anxious when inside the crate be patient, don’t leave him in there and assume he’s going to settle down. Keep practicing crate games and he should eventually start to remain calm around it. 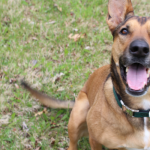 While it might be easy to just put your dog in his crate for punishment it’s a bad idea. You don’t want your dog to associate the crate with anything negative. The purpose of the crate is to be a safe place for your dog, not a tool for punishment. 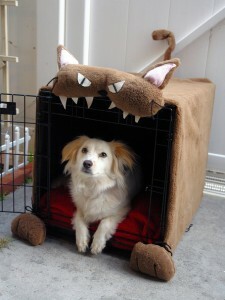 The crate should be a safe place for your dog to be when you’re away. Make sure there are no sharp edges and remove your dogs collar when he’s going to be staying inside of it. You don’t want any possibility of your dog getting caught while inside the crate. If you have a puppy he’s going to whine at night when you put him inside. As long as the dog isn’t extremely anxious and he’s been outside recently you can ignore his whines. Puppies whine when they’re adjusting to a new environment, he’d probably be whining if you left him out in the hallway too. They’re adjusting to a completely new life and new schedule with unfamiliar faces – they will take a bit of time to settle down. The last thing you want to do is force your dog inside of a crate before they’re comfortable with the idea. A great way to get dogs used to their crates is by playing some simple crate games. Toss some treats or toys in their crate to get them used to entering on their own. If they get rewarded for going in the crate they’ll start to associate the crate with positive things. Depending on your dog this could take a few hours to a few weeks. The age, temperament, and any previous experiences they’ve had with crates will make a big difference. With enough patience and consistency you can teach your dog that their crate is where good things happen. Most dogs who’ve been property crate trained come to see the crate as their safe place. My dog goes inside of hers when shes ready for bed, we don’t even ask anymore. It made house training easier and I was relaxed at working not having to wonder what my puppy was getting into. To get a dog used to being in the crate for periods of time you should give them something to keep them busy. Kong toys stuffed with Peanut Butter is a common suggestion, but there’s also plenty of other treats you can stuff in a Kong. How Long Can I Leave My Puppy in His Crate? During this time consider having someone come home at lunch to let out your puppy, or you can hire a dog sitter/walker to help. As long as your dog is relaxed and/or busy when you leave them in the crate they’ll probably just settle down and nap til you return. 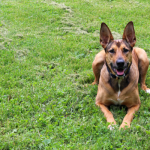 I know plenty of people that have set up camera to make sure their dog remains calm while their away – that’s certainly not a bad idea if you have the equipment. While it might not be something everyone is willing to try crate training certainly made my life a lot easier. I was able to go to work without wondering what sort of disaster I would come home to, and I didn’t have to worry about her getting into anything dangerous. Years later she still doesn’t mind it at all; at night she still chooses to sleep in her crate, so now we just leave the door open at all times. 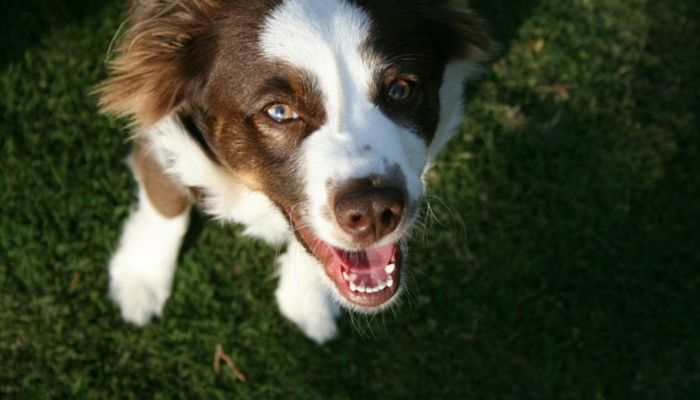 Is Positive Reinforcement Training Finally The Norm? Great post! We love our crates! 🙂 I covered how we went about crate training in one of my posts. I am a crate convert! Pepper hated the crate. We sold it a yard sale when she was 2. The next 2 dogs came to us as adults and we never considered crating them. When I knew we were getting another puppy I was worried about how Jedi would take it. Things have changed since Pepper. I work full time and I knew that we’d be travelling. Jedi NEEDED his crate for dog shows and hotel rooms. Fortunately Jedi loves his crate (he prefers the plastic airline crate to the wire one). We have a busy household, with 5 people in and out all day. He’s rarely crated more than 3-4 hours at a time, but he’s in and out of it voluntarily all day. A couple months back I was home sick and the cat reminded me — LOUDLY — that we were out of wet cat food. And she was going to continue screaming until I gave her some. I put on my shoes (cue for Mommy’s leaving) and Jedi ran to his crate. I came back 30 minutes later and Jedi was still in his crate looking at me quizzically, with the crate door wide open. Apparently I forgot to close it before I left. Yeah I understand how it looks to some people but it’s seriously convenient and my dog doesn’t seem to mind at all. She willingly goes in there when I leave, I don’t lock her in. So funny that Jedi was sitting in there wondering why it was open 🙂 I’m sure crating isn’t for everyone but my dog doesn’t exhibit any separation anxiety even though I work. I assume her having her “safe place” in her crate that’s cozy contributes to it. I had never trained a dog using a crate until Sampson. I had to admit we had all the wrong advice (this was before all the helpful internet sites) and we followed it, and thankfully the poor puppy survived despite our doing it wrong. 2 pieces of advice we received and followed 1) put newspaper down at one end of the crate so he can do his business. As he ages and can hold his bladder longer, lessen the amount of paper. 2) (I hate even typing this) shake the crate and tell him no when he whines. 🙁 Despite this bad advice, we ended up with a great dog who is well trained. God forgive me.